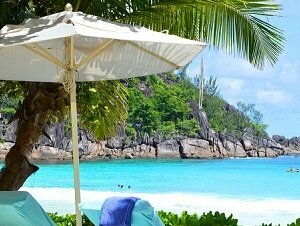 We've always loved the Seychelles, especially the little island of La Digue (read our guide here). 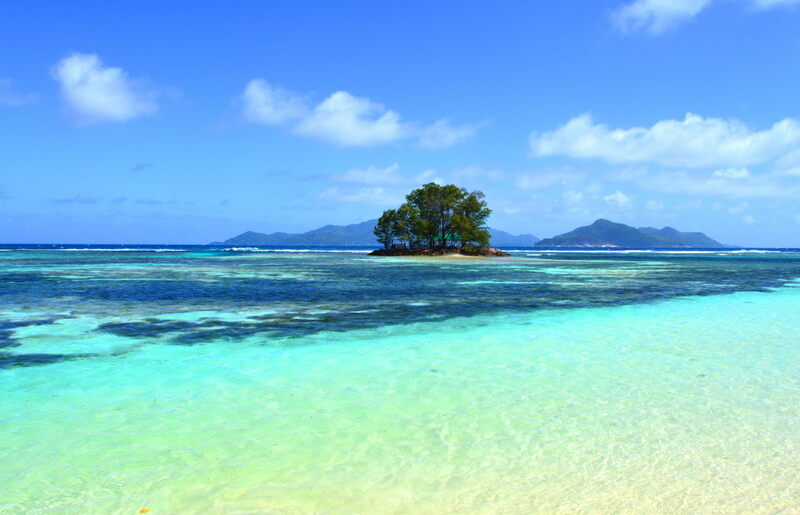 On this one tiny island are four of the best beaches you'll ever see. 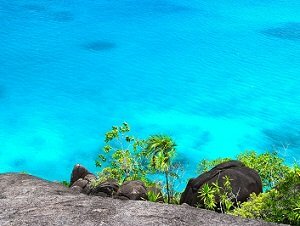 Most times to find four beaches as beautiful you'll need to travel great distances and often from one country to another. Here you just need to pedal ten minutes on your bike. 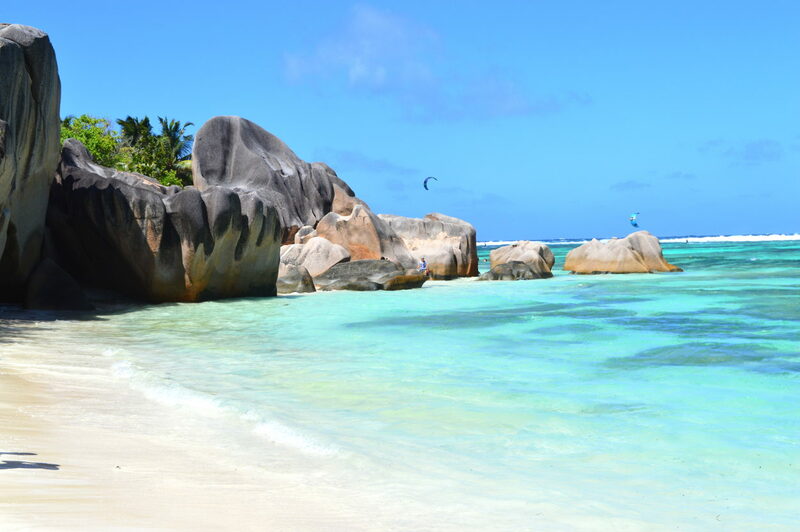 Of all the beaches on La Digue one beach stood out - Anse Source d"Argent. 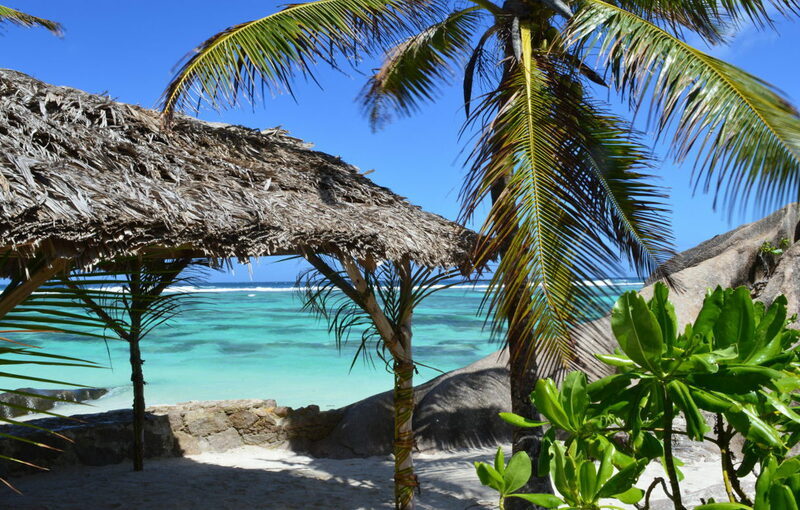 We normally stay at Domaine Les Rochers, an easy ten minute bike ride away from the entrance to the reserve where Anse Source d'Argent is located - it's simply lovely, affordable and perfectly located. 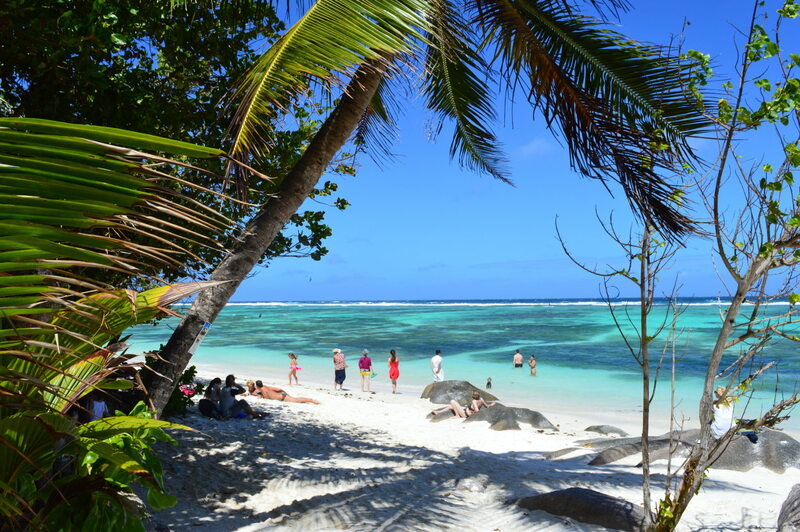 Heading south along the coastal road, from the direction of Domaine Les Rochers, there's another lovely little beach called Anse Reunion. 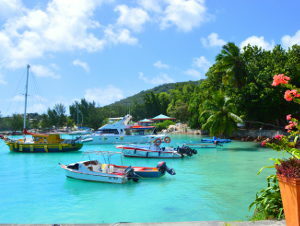 It's a little past a big church, which you'll see on the left as you head in Anse Source d'Argent direction. On the right is a fence with signs saying "no bikes". The fence and signs are meant to discourage anyone from using the beach, which the hotels on the other side of the road would like to keep for their guests only - even though it is a public beach. 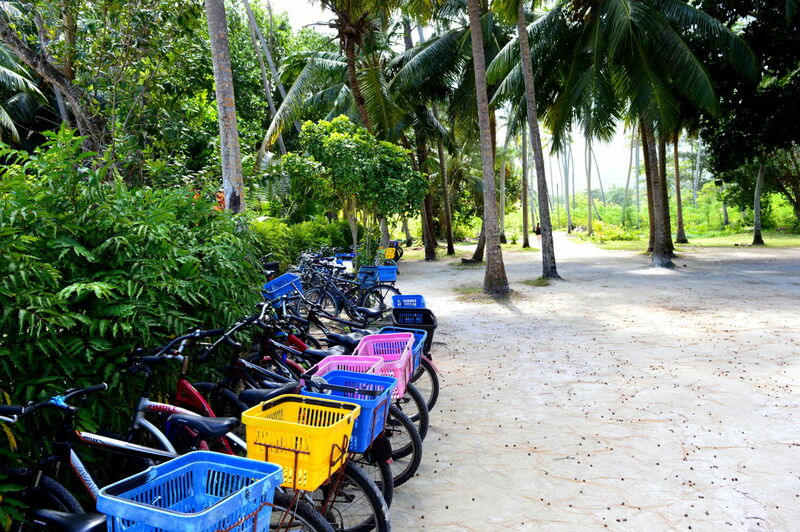 Don't worry though, just before the fence is another entrance to the beach, next to an old rusty boat, where you can leave the bikes. 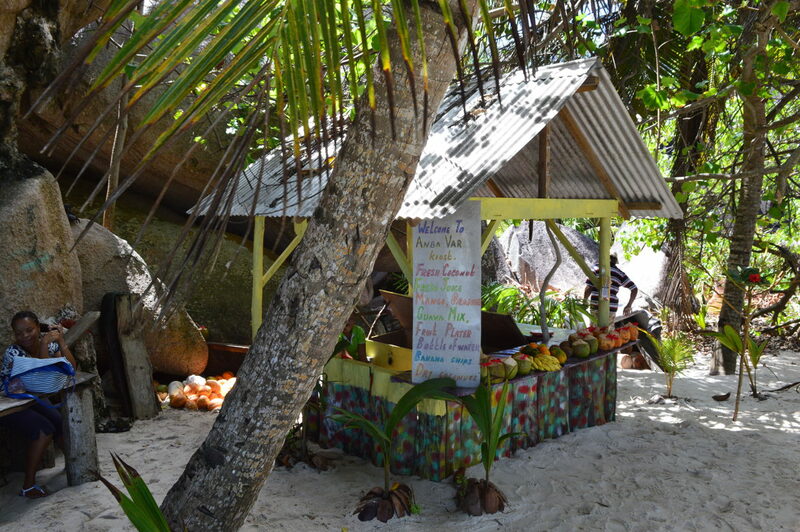 Because the best beach on La Digue is in a reserve you need to pay a 100 Rupee entrance fee. 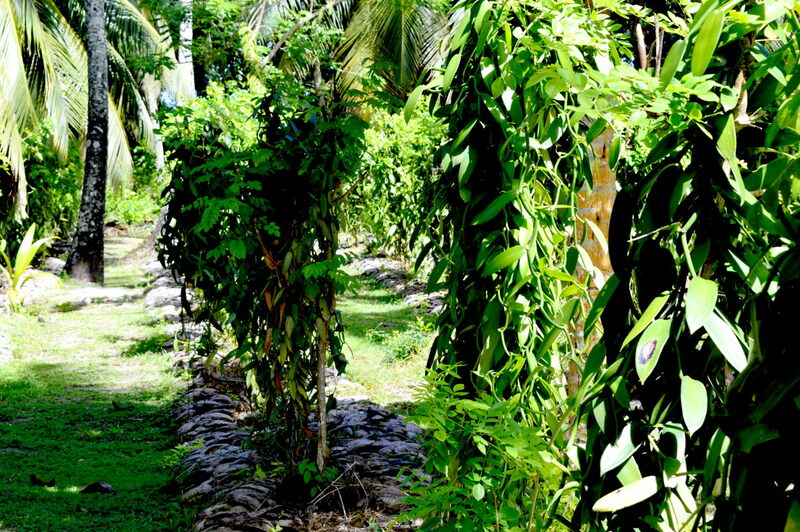 That entitles you to see a couple of beaches, including Anse Source d'Argent, a vanilla plantation with the old plantation house, and an old mill. 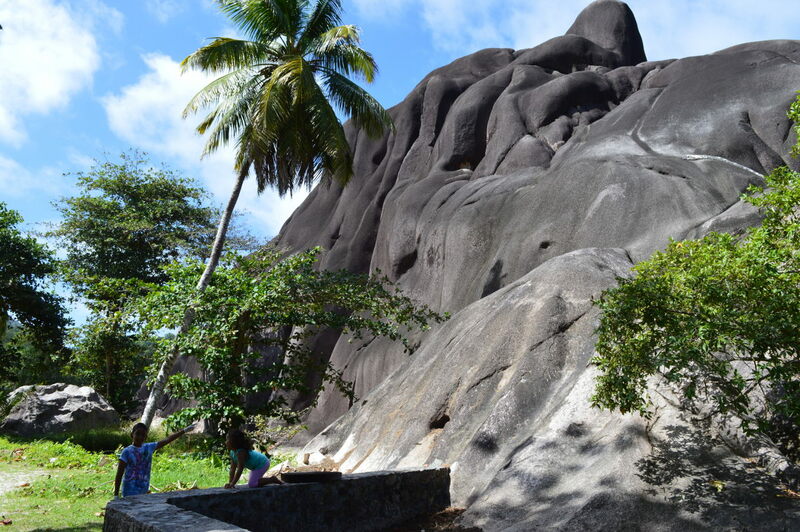 You'll also see a huge rock and beneath it a walled enclosure (the little girl in the photo is sitting on it). 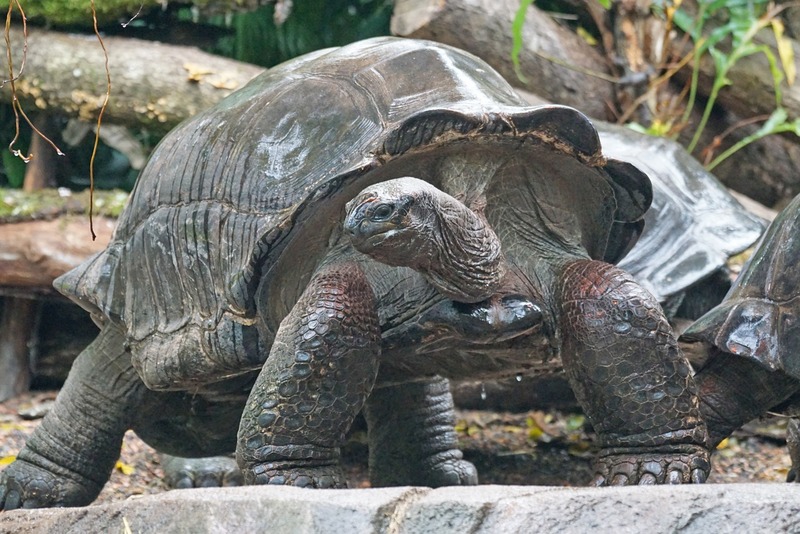 In the enclosure are the biggest tortoises you'll ever see - a couple of them are said to be over 150 years old! 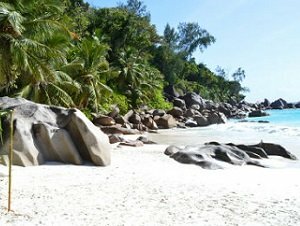 A little after the tortoise enclosure, and just before you get Anse Source d'Argent, is a lovely little beach with hardly a soul on it. 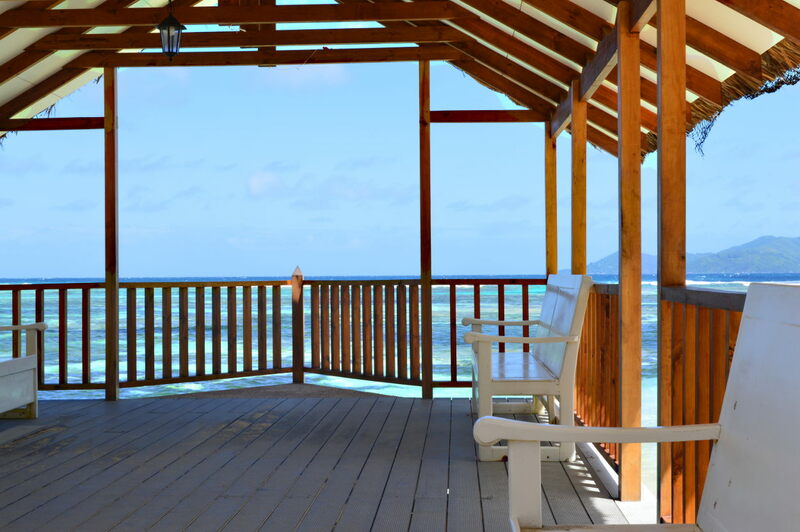 There's a small wooden pier over the sea which is a great spot to sit and read a book. It looks out over a tiny island. Once you arrive you'll have to park your bike and walk the last bit across a bridge over the river. Just before the bridge there's a little restaurant where you can get something to eat - it's super expensive although the creole food is good. 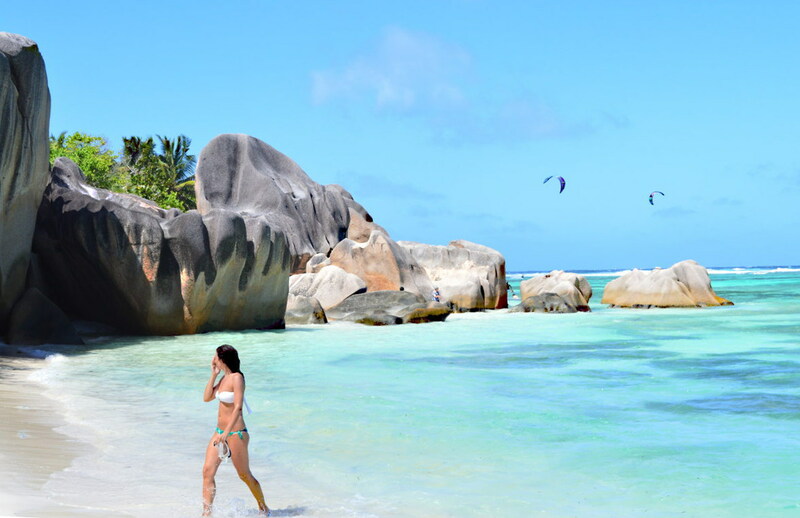 We've finally arrived at the best beach on La Digue - actually its three or four beaches in one. 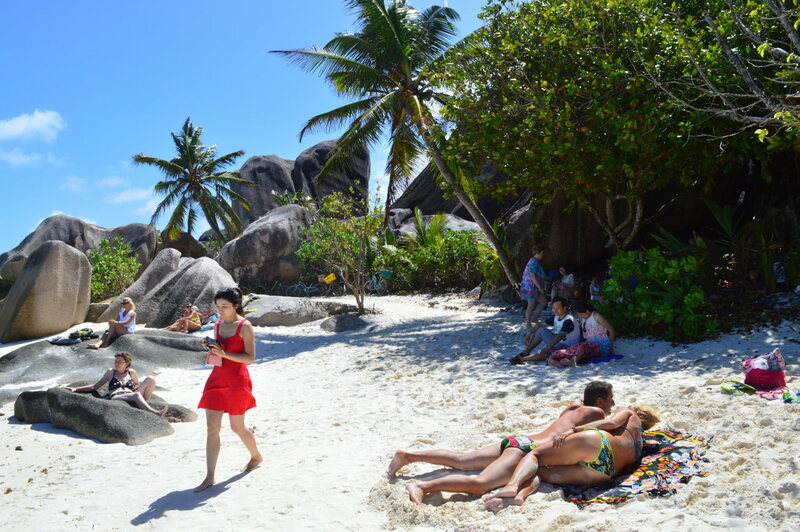 It's a bit more crowded than most beaches on La Digue but, except for December/January and August, it really isn't bad at all. 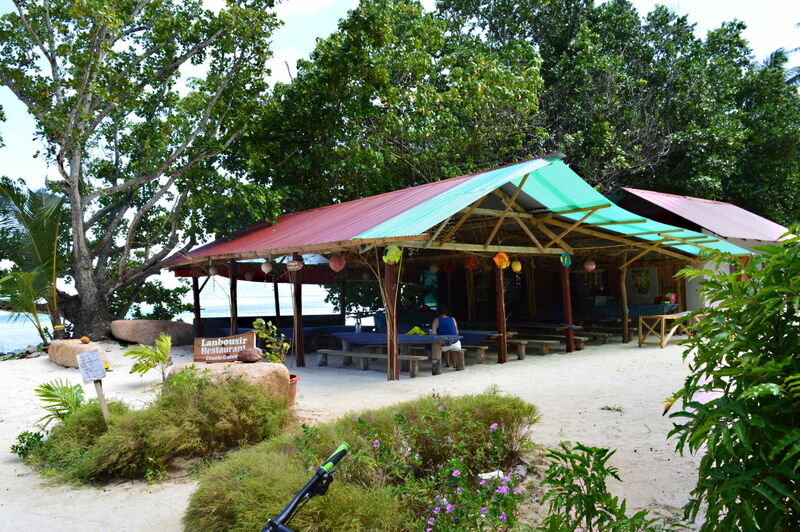 Many of the tourists seem to be from Japan and they sit in the shade for a little while, take lots of photos then leave. Sadly few of them seem to swim in the gorgeous tropical waters. 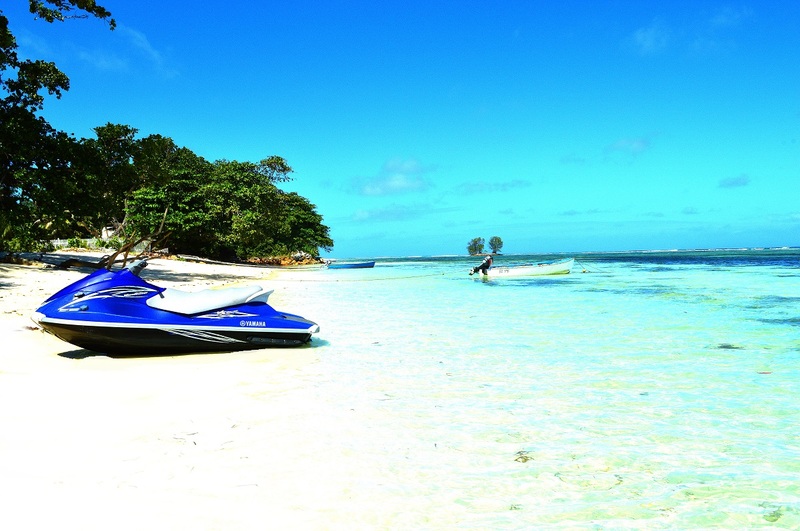 My advice to you is don't make that mistake - splash about in the crystal clear water, swim and snorkel. Wear coral/beach shoes though as there are some sharp bits of coral. Even without a snorkel the water is so clear it's like being in a tropical fish tank with dazzling colors everywhere you look. Some of the little striped ones will nibble gently at your toes too and clear away dry skin - a great exfoliation treatment! 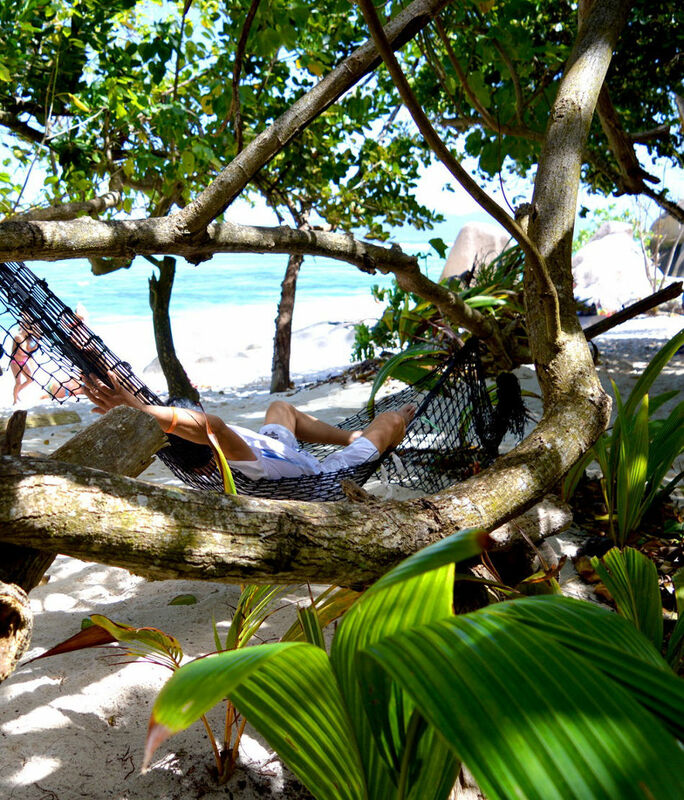 Hammock in the shady area behind the beach and next to the beach bar below. 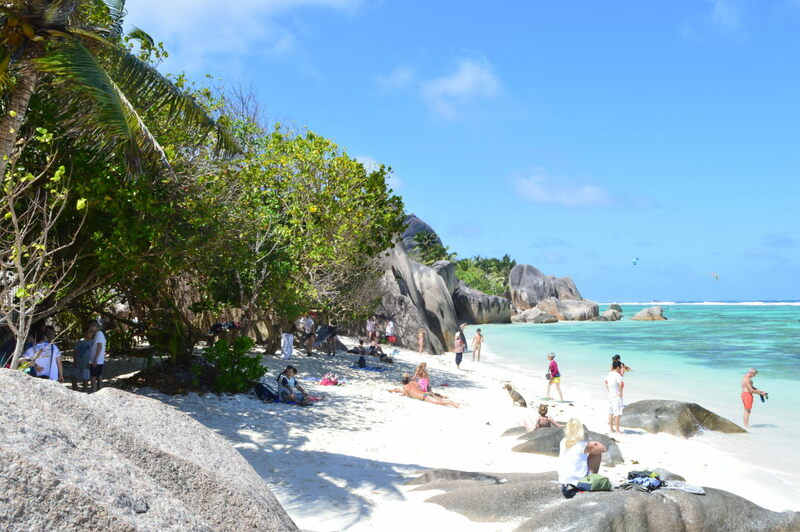 The main part of the beach is separated from the section below by big rocks. There's a little pathway through the rocks and then you are here. Amazingly this side is always far emptier - even though it only needs a two minute walk to get here.